After the martyrdom of Saint Polycarp in 155 AD, the Christians tried to take the relic of the Saint, but the pagan ruler of Smyrna ordered that they be burnt up in a fire that it may not serve as a source of blessing and veneration. 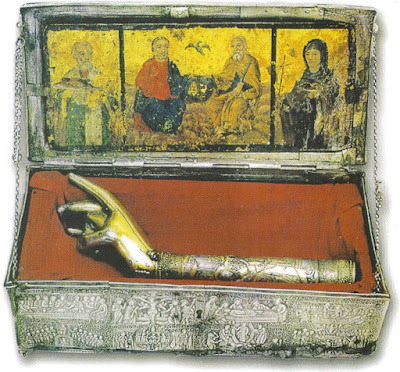 Christians however were able to gather what they could and preserved them as a most-valuable treasure. One of these relics is the right arm of the Saint, which from 1475 was kept at the Monastery of the Dormition of the Theotokos in Ampelakiotissa of Kozitsa in Nafpaktos. It was covered in silver in 1792 and was a source of blessing and healing grace to the people. 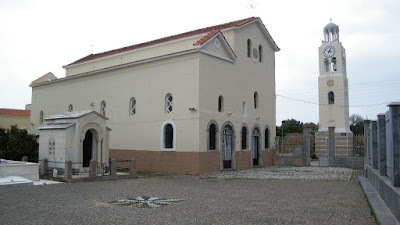 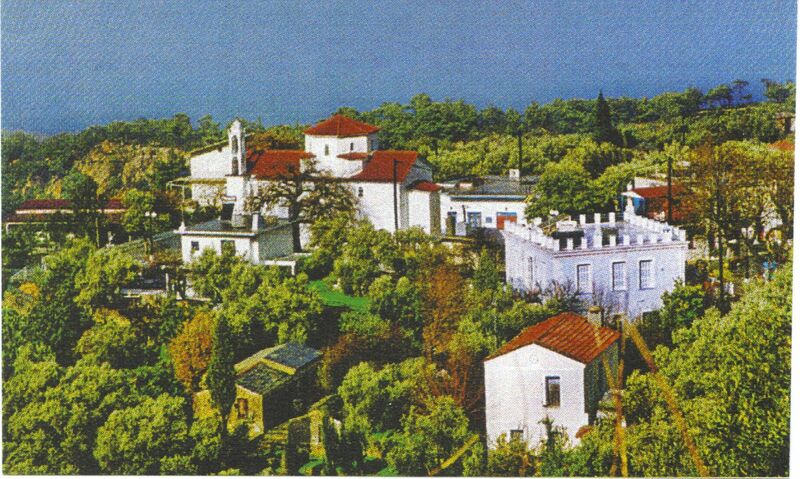 In 1945 the name of the monastery changed to the Monastery of Panagia Ampelakiotissa - Saint Polycarp, and the Saint was honored in the wider region, where the parishes of the villages of Mamoulada in Nafpaktos and Malamata in Phocis bear the name of the Saint. 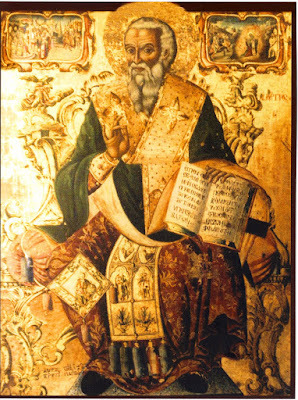 Furthermore, in the Metropolitan Cathedral of Saint Demetrios in Nafpaktos, Saint Polycarp is annually celebrated on the Sunday of the Myrrhbearers. It is worth mentioning also that in the neighborhood of Votanikos in Athens there is a parish church that bears his name which was built in 1940, in the region of Kampos in Chios a church was built in his honor in 1880, and in the mountain village of Polykarpos in Icarus a church was built in his honor in 1889 over the foundations of an older church. 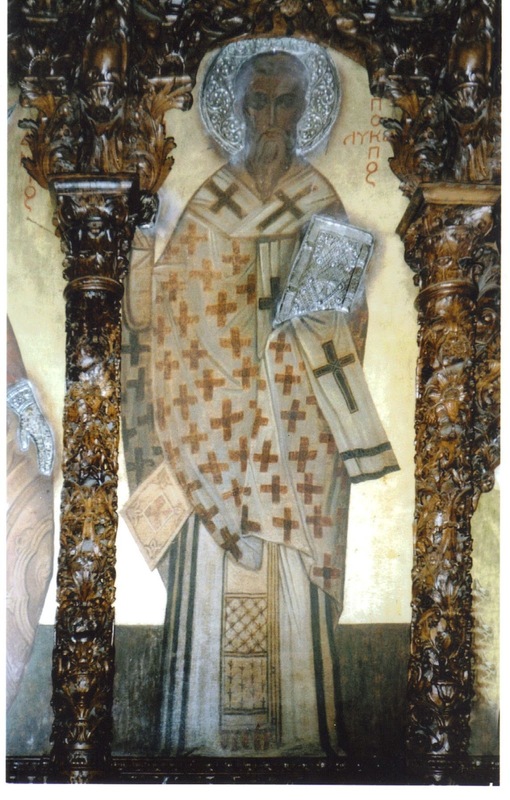 His memory is also celebrated in the Cathedral Church of Saint Photini in New Smyrna of Attica, as well as in the Metropolitan Church of Saint Menas in Heraklion of Crete by the association of Asia Minor refugees in Heraklion who have him as their patron. 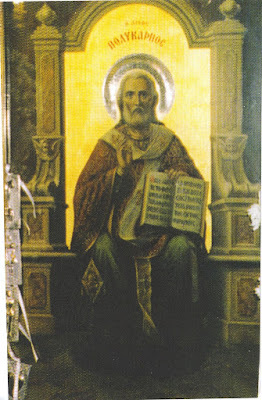 The hymnography of Saint Polycarp is also rich, since he is considered the patron saint of fertility, and an all around wonderworker, since in 1878 the prominent music teacher Andreas Palamas composed a divine office in his honor because of the deep gratitude he had towards the Saint for the miracle he did for him. 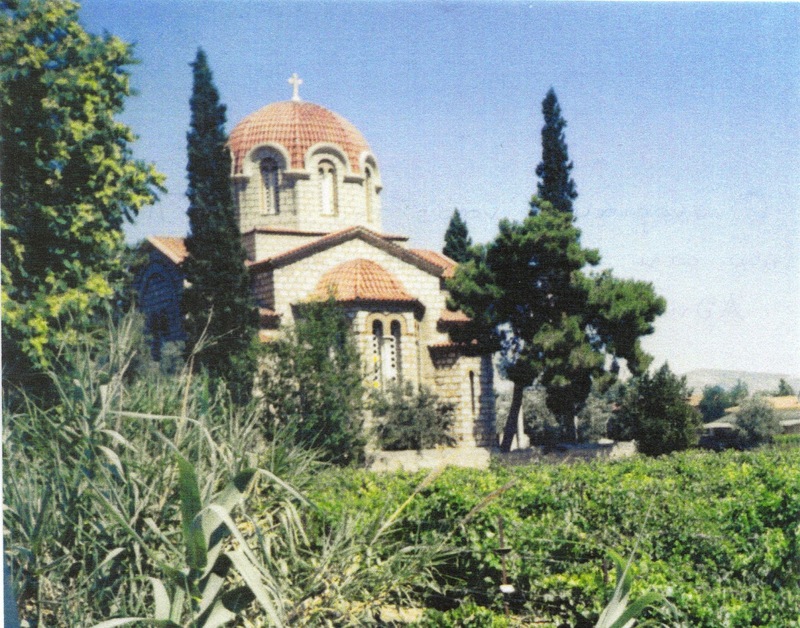 Services have also been composed by Monk Gerasimos Mikragiannanitis and Metropolitan Polykarpos of Xanthi.